We at Hounddog specialize in each sphere of web design and web development to help our clients improve their business, increase sales and engage more customers through their websites. Your website is the most vital tool of your business and signifies your business goals and standards. It allures potential prospects and convert them into qualified customers. Hounddog is a web development company based in Daytona Beach, Fl with a focus on building custom websites tailored to client’s specific business needs. 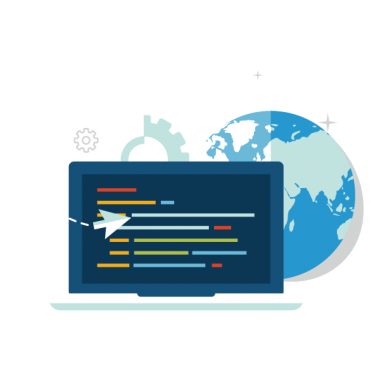 Our team is a group of web designers and developers with many years of experience in every facet of web design and web development. We offer every aspect, be it design or non-design aspect of constructing websites such as web design, and content to coding and mark-up. Hounddog offers unique and affordable services of web development in Florida to businesses of all sizes and types. We are a full-service web development agency based in Daytona Beach and dedicated to building your brand. We are a solution to develop an amazing website that delivers outstanding results for your business. Hounddog offers several other services specific to clients needs such as e-commerce oriented website development, graphic design, platforms, intranet and extranets, mobile apps development, web design in Daytona Beach and Port Orange, etc. We can assist you in all types of web design and web development tools. Our team of skilled developers uses standard strategies and techniques to not only provide your website higher rankings in search results but also customize it accordingly to increase sales and traffic resulting in best user-experience. Hounddog have expertise in developing customized e-commerce websites and shopping cart applications that deliver a convenient, hassle-free and secure shopping experience. We develop CMS that will help you monitor your site effectively including managing content and increasing overall marketability. We at Hounddog can develop tailored solutions for your intranet and extranet requirements. 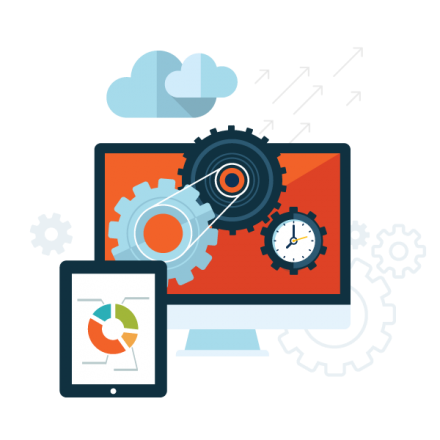 Servicing the needs of web design in Port Orange, our professional are competent in offering the web, mobile and Facebook application development services. We offer you all the latest and modern technologies of web design and web development including PHP, Drupal, python, etc. Your business requires more than just a website. It requires mobile-friendly and a responsive web design aspect to cater your needs. At Hounddog, we offer a complete testing of your website on all major devices and screens. Our testing ensures whether your website is modern and responsive or not. Hounddog offers you complete access to a secured web development and testing area for your website. 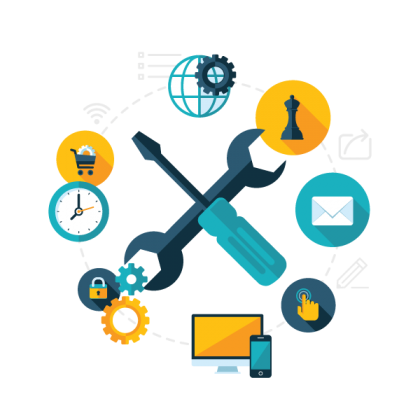 Our team uses latest and professional tools that allow you to make changes to your websites content before it goes live or anytime you feel the need of doing so. Collaborate with Hounddog to experience a customized web design and development that will attract more and more customers resulting in your business growth.